SAN DIEGO, Aug. 17, 2011 -- The Northrop Grumman Corporation (NYSE:NOC)-built MQ-8B Fire Scout Vertical Takeoff Unmanned Aerial Vehicle was credited with providing critical intelligence, surveillance and reconnaissance (ISR) support to special operations forces and U.S. Navy anti-piracy actions during the system's second at-sea deployment. Two Fire Scout air vehicles were deployed aboard the USS Halyburton (FFG 40) at the beginning of January. 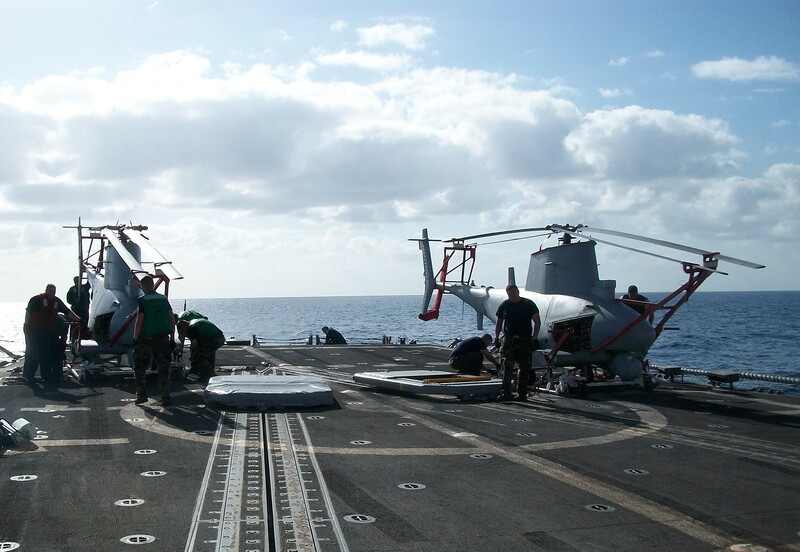 The system was tasked to provide ISR support for anti-piracy operations conducted by the Navy's 5th Fleet. 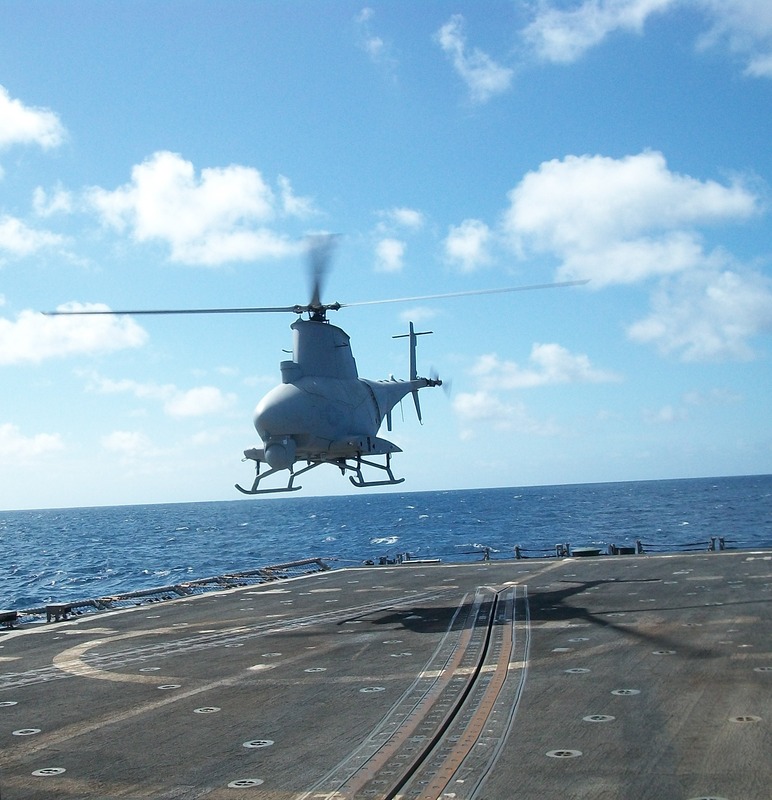 "This deployment was the first opportunity since deploying on the USS McInerney (FFG 8) for the Navy to fully use Fire Scout operationally," said George Vardoulakis, vice president for tactical unmanned systems for Northrop Grumman Aerospace Systems. "The system was involved in three different anti-piracy actions; participated in operations over Libya; and supported a Strait of Hormuz transit with the ship's SH-60B helicopter â a valuable manned and unmanned aircraft operation that allows ship commanders to extend their awareness at greater distances from the ship." Fire Scout also successfully proved a special operations concept for sea-based ISR capabilities and observed a Yemeni fishing boat that had been stranded at sea for 10 days, allowing the Halyburton's crew to provide assistance. In the six-month deployment, the system flew for more than 435 hours and maintained a high sortie completion rate of more than 80 percent. Fire Scout operations aboard the Halyburton benefited significantly from lessons learned during a 2009 Fire Scout military utility assessment aboard the McInerney . To date, the system has flown for more than 2,500 hours. Approximately 1,200 of those hours were accrued during operational deployments with the Halyburton and in Afghanistan. Fire Scout features a modular architecture that accommodates a variety of electro-optical, infrared and communications payloads. The air vehicle's operational flexibility makes it particularly well suited for supporting littoral missions such as drug interdiction, search and rescue, reconnaissance and port security.